Forget Senator Burr's off-hand joke about the National Rifle Association putting a bullseye on a picture of Hillary Clinton. That's just garden variety magical thinking among the Trump brethren. What Burr said that's truly offensive is his attitude toward his job as a senator. He's supposed to vote appointed federal judges up or down. Instead, he likes inaction as the gold standard. Yeah, we know it. 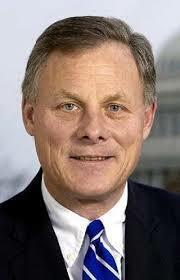 The federal judgeship in the Eastern District of NC has been vacant for ten years, thanks to Burr. President Obama nominated Patricia Timmons-Goodson, a former justice on the NC Supreme Court, in April of this year. “Let me make you a promise,” Burr recalled telling the president after hearing about the nomination. “This seat will be vacant on the day you go out of office." There's the conservative Republican philosophy of government in a handy nutshell. Put it in your pocket and haul it out any time you need to understand why the Republic is doomed.